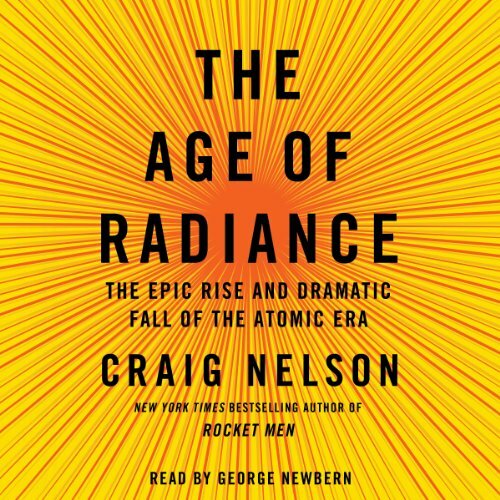 From the New York Times best-selling author of Rocket Men and the award-winning biographer of Thomas Paine comes the first complete history of the Atomic Age, a brilliant, magisterial account of the men and women who uncovered the secrets of the nucleus, brought its power to America, and ignited the 20th century. When Marie Curie, Enrico Fermi, and Edward Teller forged the science of radioactivity, they created a revolution that arced from the end of the 19th century, through the course of World War II and the Cold War of superpower brinksmanship, to our own 21st-century confrontation with the dangers of nuclear power and proliferation - a history of paradox, miracle, and nightmare. While nuclear science improves our everyday lives - from medicine to microwave technology - radiation’s invisible powers can trigger cancer and cellular mayhem. Writing with a biographer’s passion, Craig Nelson unlocks one of the great mysteries of the universe in a work that is tragic, triumphant, and above all, fascinating. 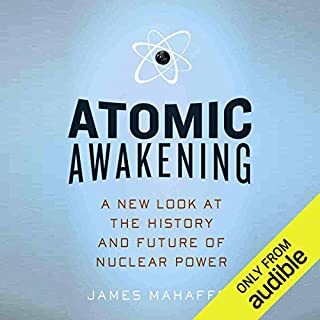 This ended for me better than it began, as the history it covered I was less aware of in newer years pertaining to nuclear history. Many good statistics and emotionally taxing moments in the latter parts of this book that for me are a plus, as I am a whore for drama. 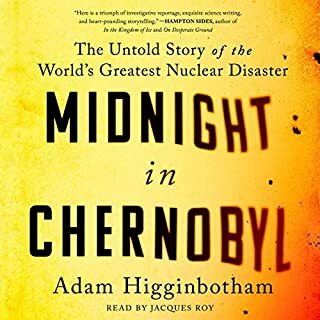 It would have been nicer if the drama was fictional, but you learn much about the real effects of radioactive catastrophe, as the earth is no stranger of...just blinded by nations attempts to keep it under the table. 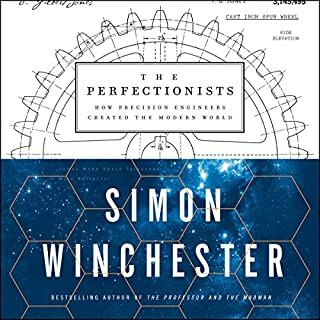 If particle physics are strange or old hat to you, the end of this book should still be somewhat informative, and educational. Take that, and my three star rating for what it is. As someone in nuclear science, this book had bits that are relatively well known to the field. However, it also had some interesting stories that I had never heard before that gave a freshness to the subject. 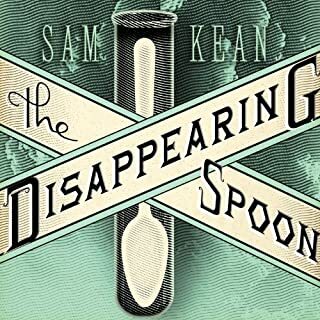 Definitely a good read for those into science history. If you could sum up The Age of Radiance in three words, what would they be? 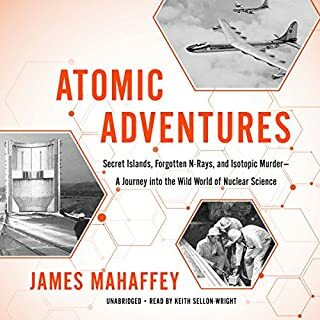 A well-written and well-read history of atomic research, from the discovery of radioactivity to the aftermath of the cold war. The narrator read M.I.5 (the British Intelligence Agency) as "em one five" which is inaccurate and was slightly annoying. The voice sounds bored and so the reader gets bored. We needed Scott Brick here or one of the better voices to bring this book to life. 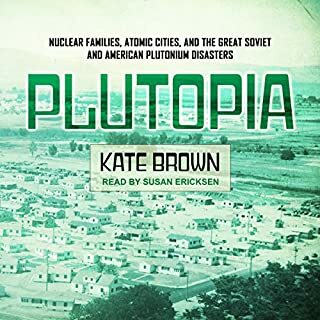 great rump through the history of radiation and the wonderful characters who brought it to us. content good. Speed reading too fast. Spoilt the book as its hard work to keep up.